Time Out: Five emerging London labels making a difference. Read the piece here. Time Out London. 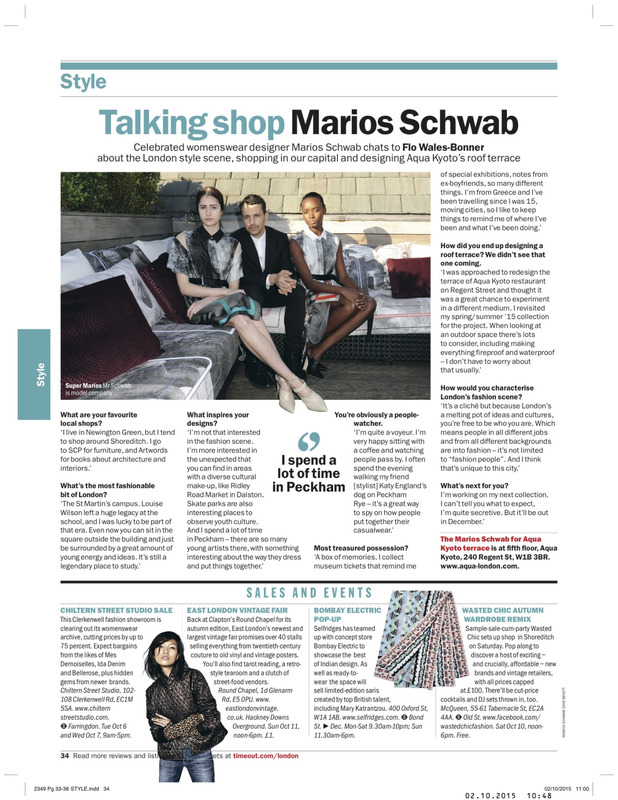 “I spend a lot of time in Peckham” – read it straight from the (clothes) horse’s mouth, here. 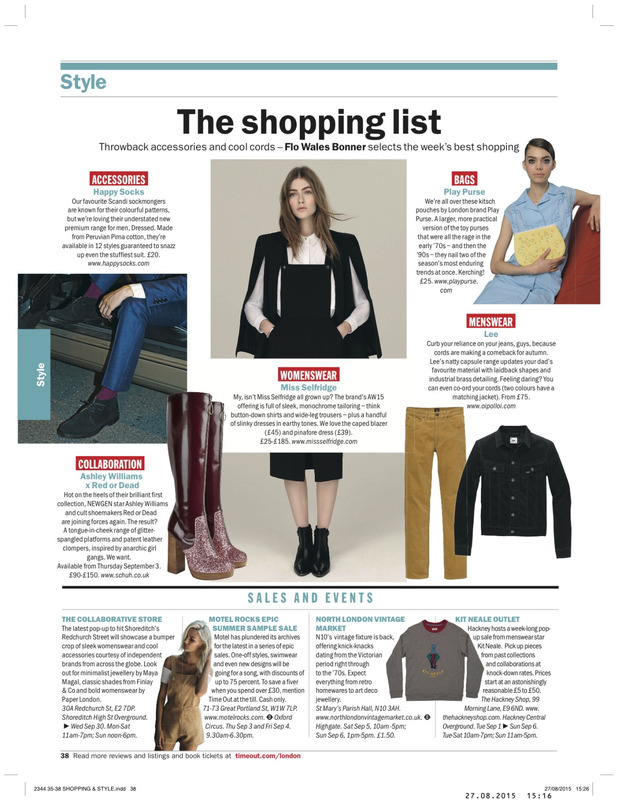 Time Out London: one of my many regular round-ups of the week in shopping. Read it here. 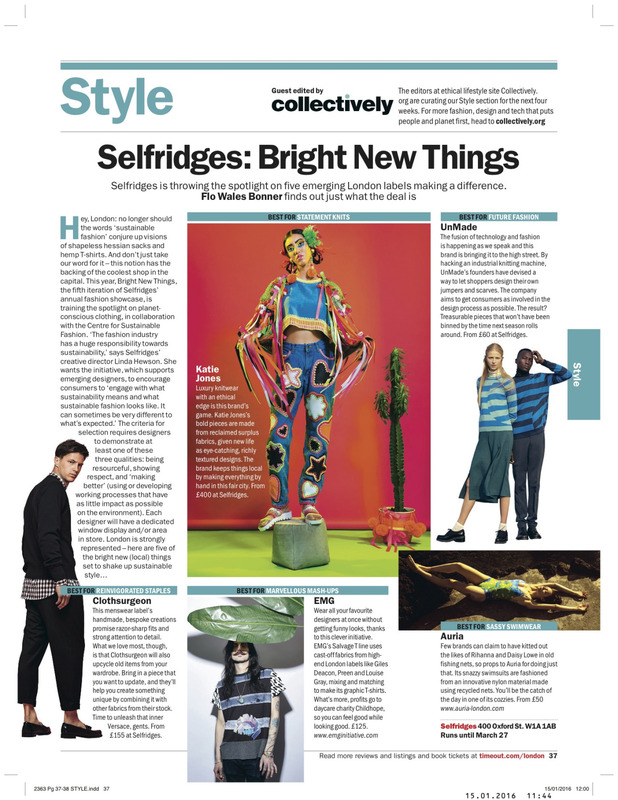 Time Out cover feature: London street style. Read it here. 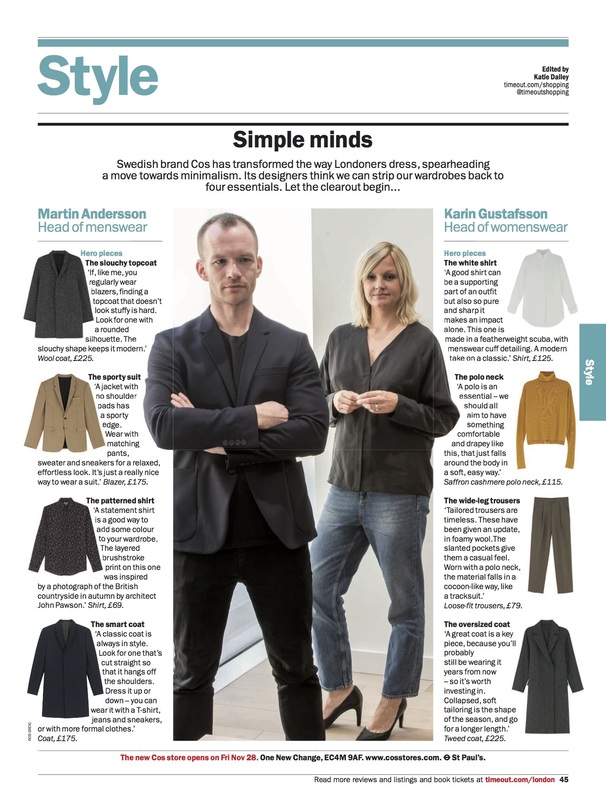 Time Out London: I headed to COS HQ to find out which pieces all men and women should have in their wardrobes. Read the article here. 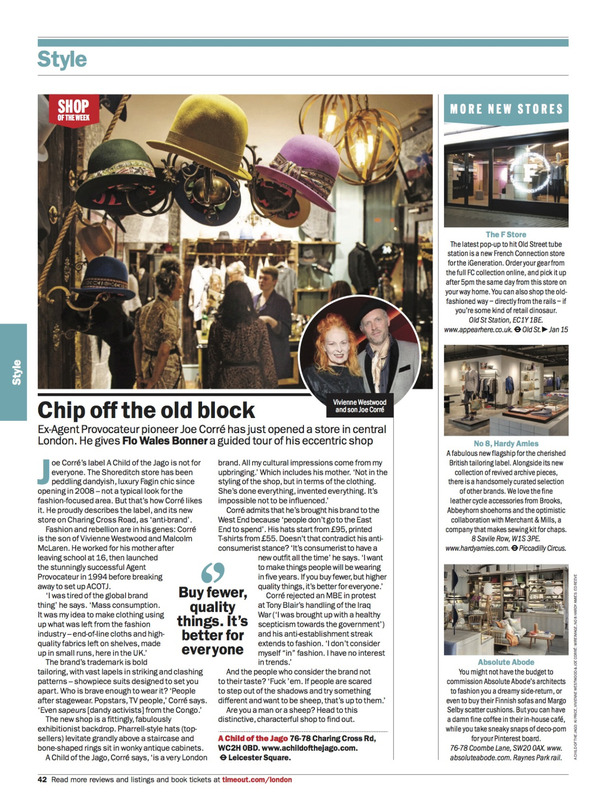 Time Out London: I discussed throwaway fashion, sapeurs and what it’s like to be Dame Vivienne Westwood’s son with Joe Corré. Read the interview here. Time Out London. I snooped around Content & Co, a menswear store by a men’s fashion heavyweight. Read article here.